Beauty differs from person to person; culture to culture. No matter who you are or where you’re from, you define beauty. For us, beauty is empowering one another. Encouraging each other. Taking care of our mother earth and strengthening our roots while radiating with confidence. We are an indigenous-owned beauty brand on a mission to encourage everyone to discover and celebrate their own beauty. We want to provide handmade, high-quality cosmetics that you'd be proud to show off, while not breaking the bank. We are for those who are discovering and celebrating their cultures and identities to the fullest while radiating with confidence and beauty. So let us help you. Let us be blunt: indigenous consumers are obviously not incorporated into the beauty industry. Yet, we all know at least one indigenous beauty guru or bomb makeup artist who kills it. So here we are again, creating our own way instead of waiting around for someone to do it. (Hey, we did it with a Native Fashion magazine!) We also want to be more than just a cosmetics line. We want to become a close network and community for all who love makeup and celebrating their culture simultaneously. We want to become your go-to makeup brand where you'll find your high-quality favorite shade, color or must-have product at an amazing price. Native Max is proud to announce its partnership with Indigenous Cosmetics to launch its Fall 2018 lip gloss collection FALL INTO BEAUTY. True to our mission, we are a partnership of two Native American women and businesses aiming to encourage all women to embrace their own beauty while supporting each other. Indigenous Cosmetics is a Sicangu Lakota/Chippewa Cree -owned beauty brand who’s blazing their own trail of producing lipsticks in small batches of richer formulas. Indigenous Cosmetics’ ultimate goal is to become a handmade all-natural and vegan makeup brand. Native Max is a nationally recognized brand and the reference for Indian Country when it comes to spotlighting up-and-coming talent. 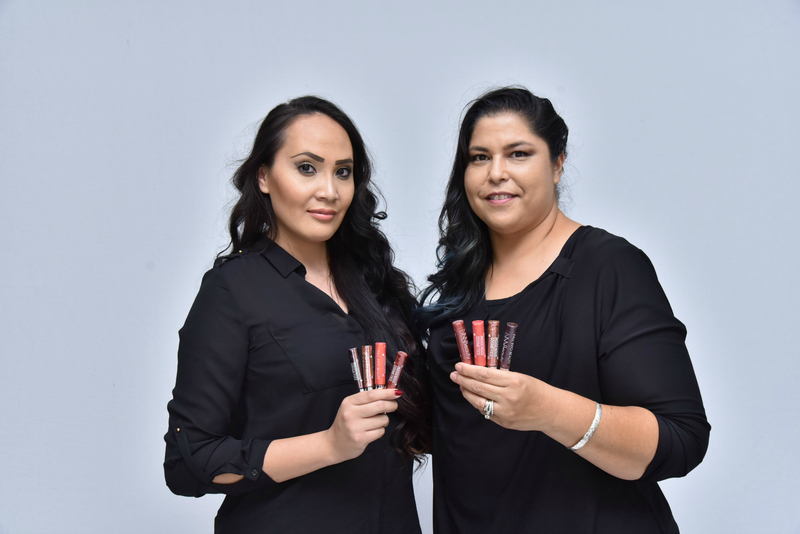 This collaboration resulted in the partnership of two indigenous women-owned businesses and the development of lip glosses that perfectly reflect the essence and mission of each company. The capsule collection includes two pairs of lip gloss duo sets. Indigenous Cosmetics is known for their high-quality lip glosses and lipstick so Native Max is making a major move into the makeup world by partnering with them. This collaboration is a great way to introduce Native Max’s customers to this high-quality brand and is the first partnership to be established in Native Max’s venture.